Rimmel’s 1st 9-in-1 Skin Perfecting Super Makeup 9 in 1 results: Primes, moisturises, minimizes pores, conceals, covers, smoothes, mattifies, brightens, and helps protect. Lightweight, ultra comfortable formula instantly gives a flawless, 100% natural finish with SPF 25. I have read so many reviews of Garnier and Maybelline ones. I was on the lookout for them but ended up buying this one. This cream has some pleasant fragrance which is most noticeable while initial application but don’t stay longer. The three shades it comes in are Light, Medium n Dark. I bought medium shade as perfectly matched with my normal skin without being cakey and patch. I love the product for its consistency and coverage. It settles nicely on my skin giving a natural, semimatte finish. I applied it with my fingers and really blend it in. 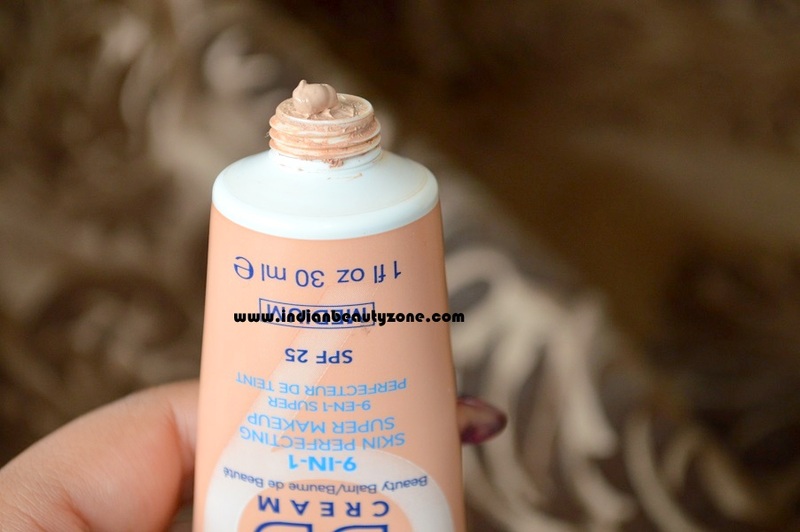 I have dark circles under my eyes which were barely noticeable after applying. Feels very light on my skin, as if I have applied nothing at all. It's quite build able and stays at least 5-6 hours with controlling moderate oil on the t-zone. 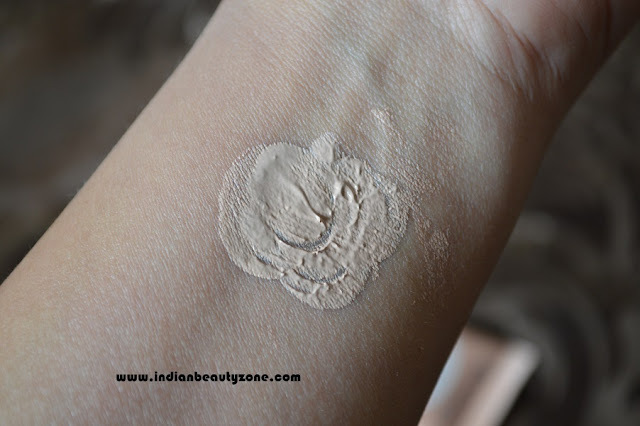 If you start feeling oil near tzone area then need a little bit of powder over the top. For oily skin beauties, I recommend using compact or any translucent powder over it, without which it will last no more than 4 hours. And for dry skin, I would recommend using moisturiser before application. This is the first BB Cream I've tried and I would be definitely buying another. It brings out the glow in the skin and covers fine lines to make the face smoother. One thing to understand it is not foundation but a good alternative particularly when you are in a hurry. It is easy to blend and gives u perfect coverage to make your skin glow. Smell is pleasant. This contains SPF 25 which is a plus point but before going out in the sun would prefer a proper sunscreen. 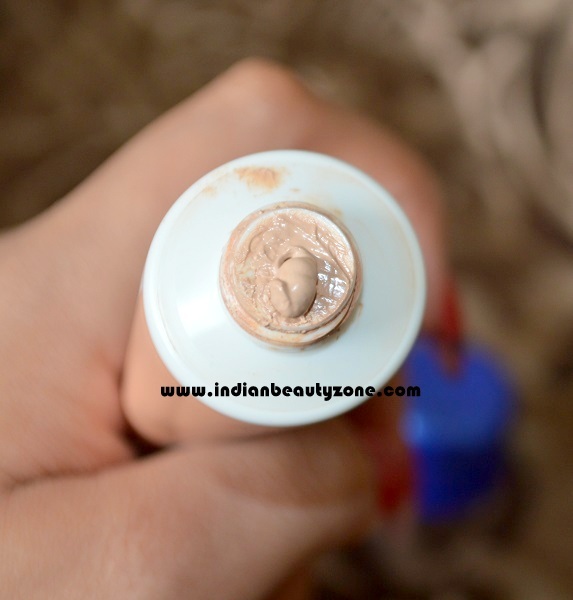 It is very nicely pigmented, smooth and easy to apply. 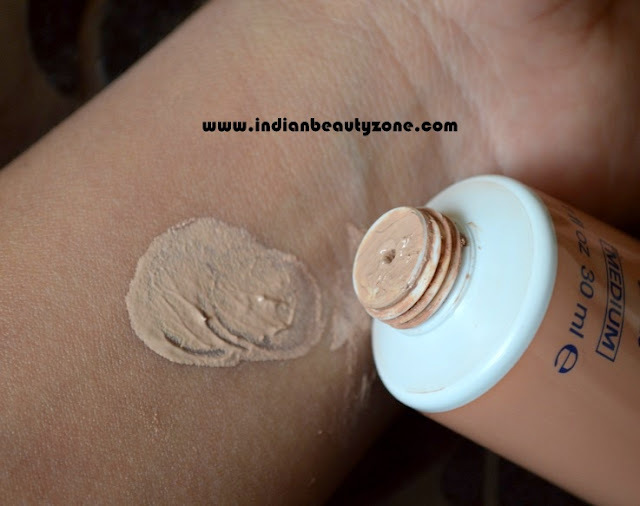 It does not perform any miracles but helps to provide good coverage and helps to being brightening on your face and can be help as a base for foundation to provide longevity. 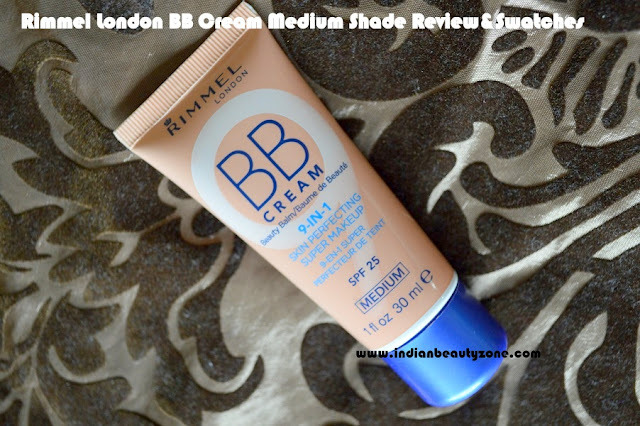 In short, a great BB cream! It comes in a very small (30 ml) easy to open squeezing tube with screw lid. 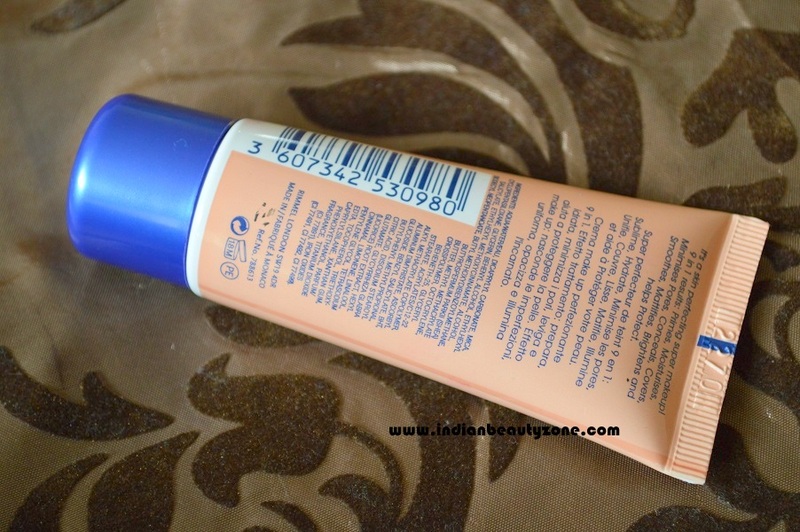 It comes in skin tone colour with blue labelling on it with the brand name and other information. 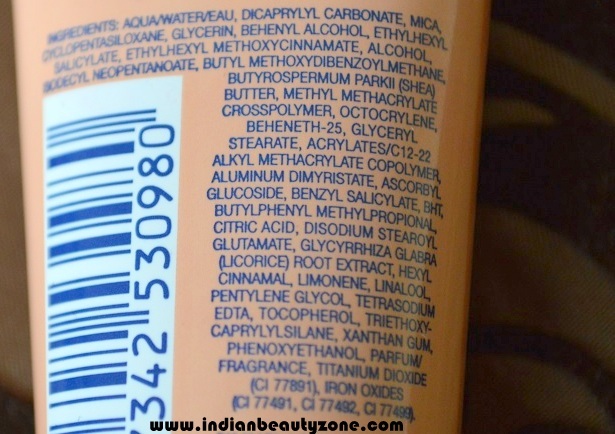 All ingredients are listed on the back of tube. 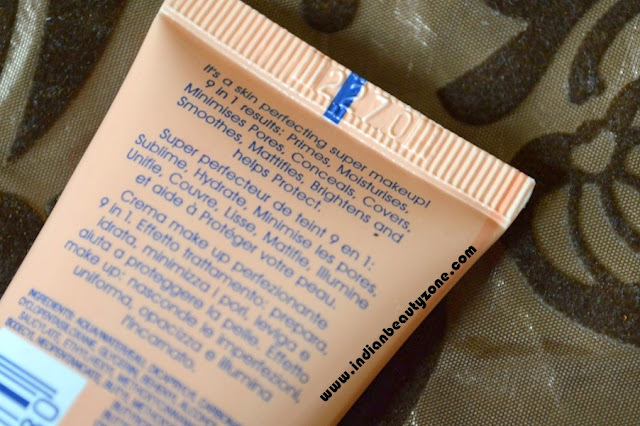 It is very travel friendly with its small size and also doubles up as sunscreen or tinted moisturiser. When you open the lid by twisting you will find one hole that allows the product to be squeezed out. It does get messy after a few usages. Texture: The texture is neither too thick nor too runny and blends smoothly onto the skin and gives natural semi-matte finish. It is very lightweight and ultra-comfortable formula which instantly gives a flawless skin. It spreads easily with fingers or brush. This helps smooth out skin, hide most redness, slightly moisturizes and brightens dull skin. • Stays well quite longer without powder. • It does not feel greasy or sticky at all and gets easily absorbed into the skin. • Very limited range of shades. • May not provide enough oil control for oily skin but stay at least 4-5 hours with controlling moderate oil on the t-zone. Hi Lisa do you use BB cream? I am following you back on GFC and Bloglovin! 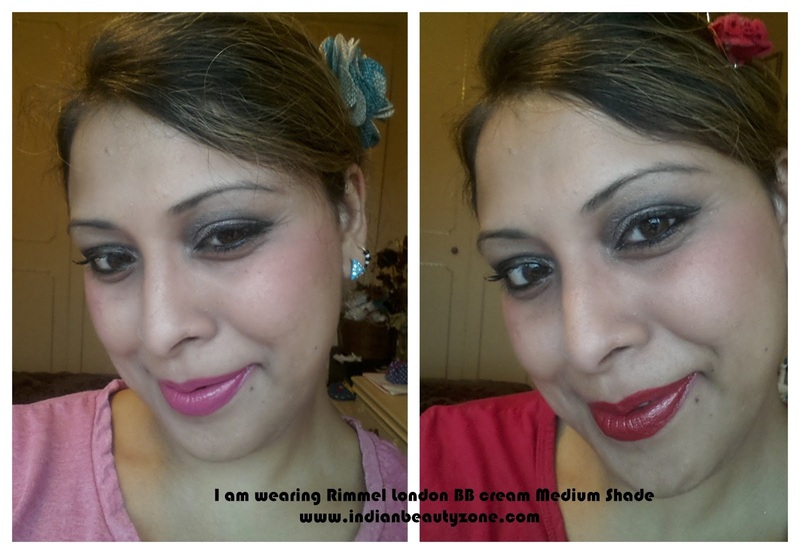 Loved your FOTD teji you look so pretty :) nice review as always..
nice review:)how are you rads? 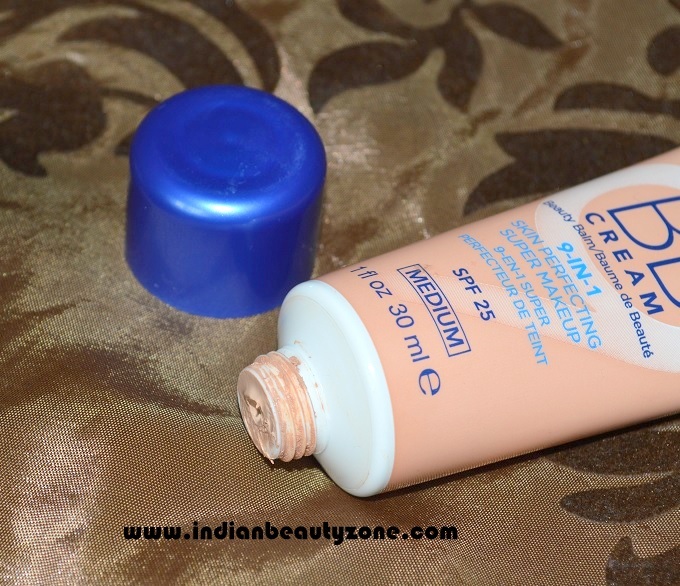 Great Review Tej & lovely FOTD's...This cream seems a lot different than what we have in India...I loved it! Nice review, Tejinder! Thanks for sharing, Radha! OMG di it is looking fab on u. U r looking so pretty! such a nice detailed review.very informative. good review Tejinder. such a detailed review :) If i get this anywhere I am buying it! !